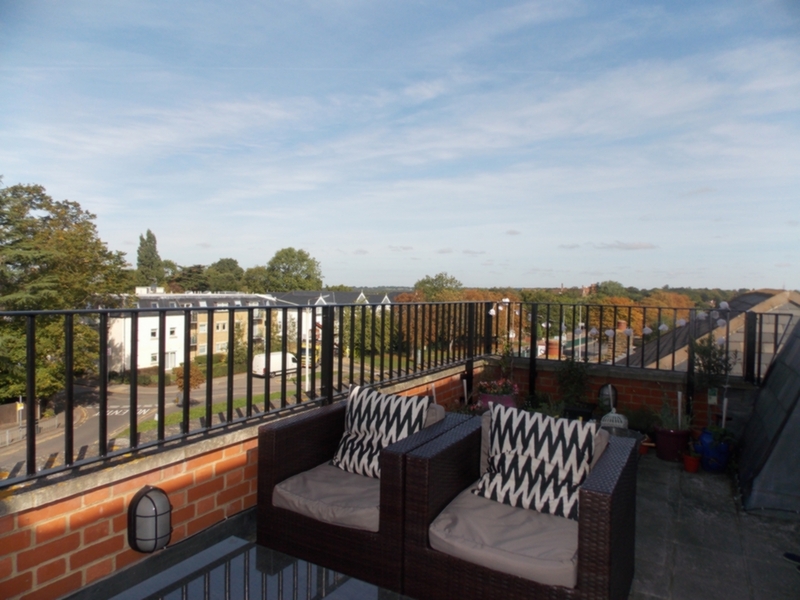 We are delighted to offer this superb penthouse apartment located in Woodford Green. The property benefits from entry phone, lift access, allocated parking, GCH, double glazing, surround sound system throughout, large semi open plan reception/kitchen with integrated appliances, master bedroom with fitted wardrobes, en-suite shower room, main bathroom and a second bedroom with fitted wardrobes. The is also a fantastic large terrace with far reaching viewings.